In less than four weeks, Harvest Moon: Light of Hope will be available on the Nintendo Switch. Natsume has announced that DLC will be available for the game and that a Season Pass will be offered as well. Thanks to a press release from the company, all four DLC packs have been announced. Released on a near monthly basis, the first pack will debut on Light of Hope’s launch day — May 29th — and will conclude on July 31st. Springing for the Season Pass, priced at $9.99, will save you $7.97. If you’ve already pre-ordered the special edition from the Nintendo eShop, then there’s no need to buy the Season Pass separately. 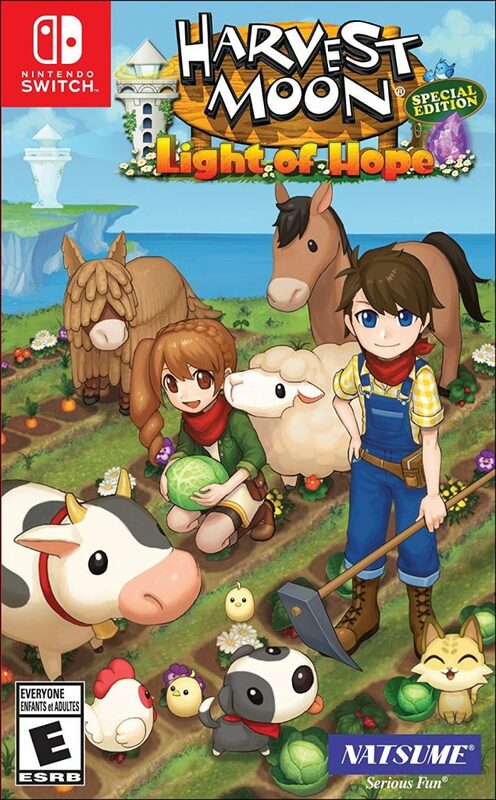 Roll up your sleeves and get your farming clothes ready, Harvest Moon: Light of Hope will be here before we know it on May 29th. I’m having trouble loading the doc onto my game. Are we supposed to get to a certain point to get it? Does a certain character give it to you?